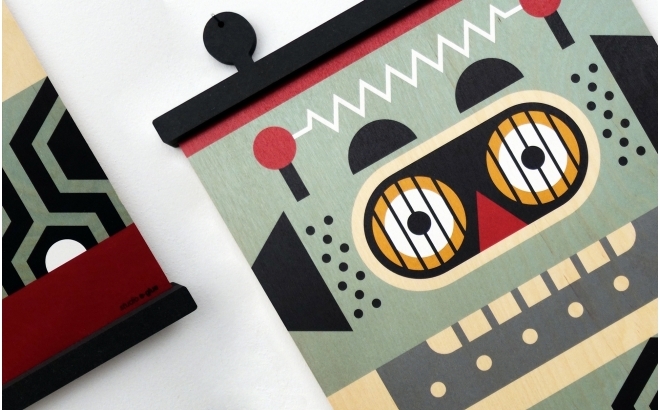 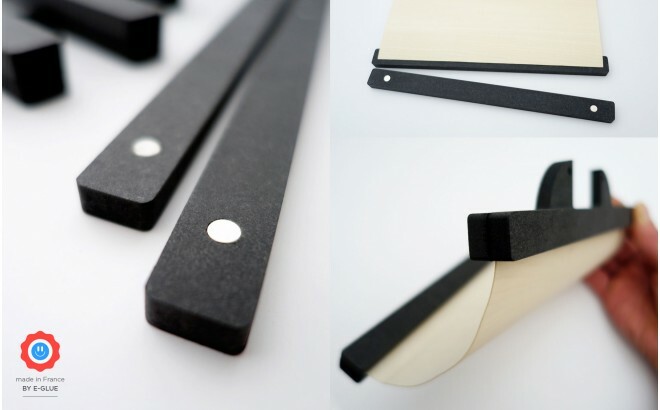 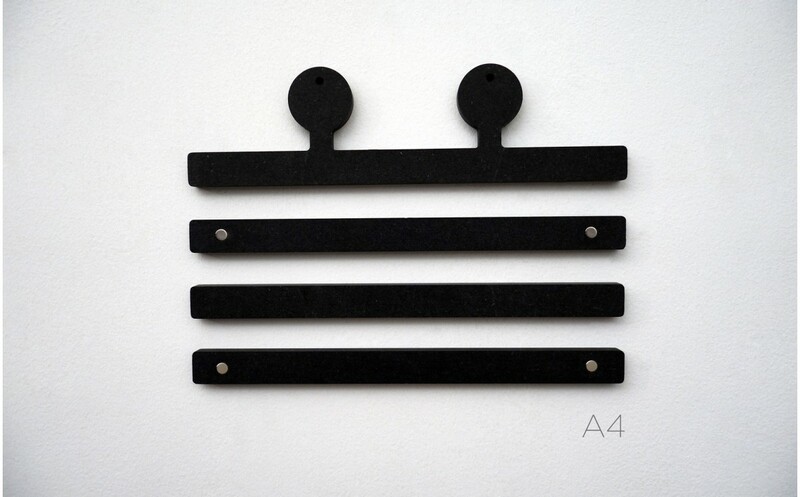 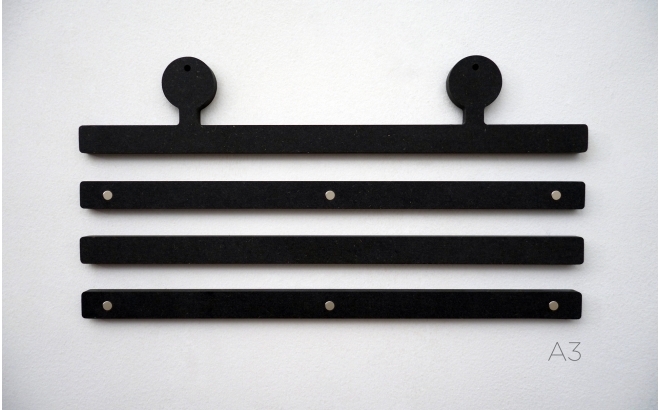 The art print hangers Earwigo by E-Glue allow you to elegantly display A4 or A3 posters in a kids room. 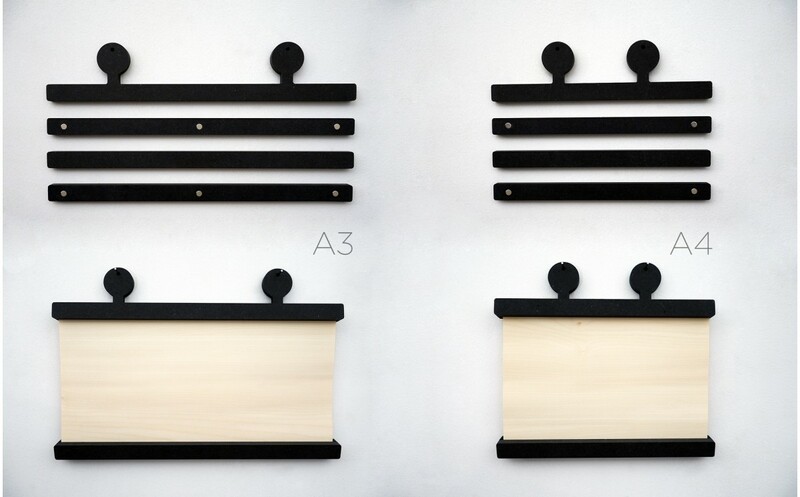 Coming with 2 high battens to hang on the wall with nails (or screws) using the pre-drilled antenna holes and 2 lower parts to weight and well stretch the picture, these beautiful print hangers crown and complete our wooden posters Minipic, but not only ! Original, fun and refined, they are perfect for modern children's rooms with a high standard design and decoration.